I just had to write about this one…. I am a VirginMedia customer, I have what they call the full package. Telephone, 200Mb broadband and the full house TV, currently paying around £145/month. I see on their website that I can upgrade my broadband to 350Mb for a monthly cost of an extra £0.14/month … ok seems reasonable, so I upgrade my package on line and I get an email confirmation with my order reference WS5320928 – that was on the 31st March 2018. By the 3rd of May, nothing, so I call them… and they tell me they have no such order on my account – and get this – because its an on-line order they have NO WAY of looking it up! WTF!!!! OK, so I say thanks and I order on line a second time. And again, I get a confirmation email and a reference number WS5393978 and I wait again. Now you have to remember I am upgrading my broadband or am trying to at least. So, I tell her the story so far and offer the second order number for her to look up – same response, oh thats a web order we cannot look that up! Ok I say, forget the web order lets do it over the phone…. So I ask, I would like to upgrade my broadband from 200Mb to 350Mb please… ok she says, lets get that organised. Oh, I can see on your account its flagged for a replacement Tivo box v6, would you like me to set that up. So I say, oh do I need it? Well yes because the box you have is no longer supported. Oh ok, well sure, I don’t mind if its needed. Ok so she sets this up, struggling with “codes” on the system she puts me on and off hold three times, by now I was 20 minutes into the telephone call. Eventually she says the work order is set up, the new Tivo 6 box will be delivered to you on Saturday and it is a self install. Ok, fine I said. I can see you have a SuperHub 2, you will need a SuperHub 3 for the 350Mb, there is a charge for that… err ok, how much is that I asked. Hold on, let me find out…. back on hold again… a few minutes later, hang on I am trying to find out, I cannot get the system to accept these codes, there is something wrong, let me go and talk to my supervisor… back on hold. Now I was left on hold…. she never came back 20 minutes passed and still on hold, when I looked at the call timer on my phone I was into the call for 52 minutes!!!! I seem to have been left dangling, so I hung up. Now I was a bit pissed off at this point, but things do happen. Alright, take a deep breath and hit the redial button. Another few minutes battling through their IVR and I am back in a queue, less than a minute again, and within 2 minutes I was speaking to a person. I got assertive and said “DO NOT PUT ME ON HOLD” then proceeded to tell a gentleman called Erwin the story. He of course was apologetic and was very polite. Now you have to keep in mind what I am trying to do is upgrade my broadband speed, so he said, well I am sorry you are having trouble I am going to lodge a complaint! and guess what – put me on hold! WTF….. Right back to the broadband then… can I get it upgraded please. So he taps some keys has a look at my account and says, I can see there is a work order for a Tivo 6 box…. Yes that is correct, the last lady told me my account was flagged for a free upgrade of the box, and when I asked if it was needed, she said that it was because my current box is no longer supported. Ok he said, but I have to inform you that there is a one-off charge of £99 for the Tivo box…. OK Mr Sweeney, that’s all done for you, is there anything else I can do for you? Err, yes, I would like to upgrade my broadband! But I thought the other lady said my current Tivo box is no longer supported? No it will be ok, let me have a look at the broadband upgrade for you… so you want to upgrade to Vivid 350 – is that correct? Yes, I said, that is correct. Ok let me do that for you. So the package price, oh hold on, did the last lady tell you about the international package on your phone offer? Yes she did, she told me that because I was changing my package I had to have a new contract and your current phone package is no longer available, you need this new one. So yes, that is find just do it… so with the upgraded broadband how much is the package? A couple of minutes later, he comes back and says, it is actually a lower monthly price, with the new package your monthly cost is £124/month. Ok that is fine. Then I ask, the previous lady told me that I would need a SuperHub 3 to get the 350mb speed, so is that included? No he said, that is not included. Ok, so how do I get the 350Mb speed from the 350Mb service I have just ordered? Well you can upgrade the Hub to a SuperHub 3 but there is a one-off charge for that…. (and before I can ask how much), he said, but I cannot put it on the same order, you will have to ring back after your broadband is upgraded…. I said, so I will get 350Mb from my current hub? I said you are joking right? this is the point at which I started to raise my voice and talk to the man on the end of the phone like he was a 5 year old child. I AM NOT RINGING YOU BACK, I SIMPLY WANT MY BROADBAND TO BE UPGRADED TO THE SPEED YOU ARE ADVERTISING ON YOUR WEBSITE. DO NOT PUT ME ON HOLD JUST SORT IT OUT, I HAVE NOW BEEN ON THE PHONE FOR OVER ONE AND A HALF HOURS…..!!! I am very sorry Mr Sweeney, hold on… and yep, back on hold again…. You have taken the Tivo 6 box off of my account. No I am afraid I cannot, it is an automated system, you will get an email once I have completed the order. Now Mr Sweeney, I will not be able to activate your new service until the end of June…. What do you mean I said, that’s 30 days away, that is ridiculous. Yes he said, because your monthly bill has been reduced you will need to wait until the start of the next bill…. I will be honest, at this point I had completely lost the will to live so I just said ok, I wanted to get off the phone and go and kill myself. 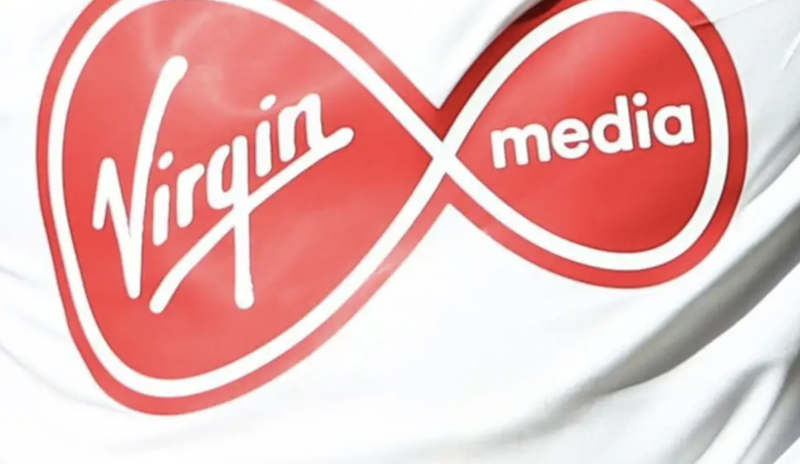 So for the folks at Virgin Media you have single headedly destroyed my day, decimated any belief I had in your brand. Your broadband service is technically good but you customer service is diabolical beyond anything I have experienced in any situation ever. I look forward to hearing from someone about my complaint, but I won’t hold my breath, I will instead put at least as much time I have wasted today into sharing my experience on every social media channel I can…..
Aah, my sweet summer child. You’ve never dealt with Comcast. If you can get off the phone in under 6 hours AND get what you called for you’re very, very lucky. Or you managed to bribe the customer support person. I bought my own cable modem. I ordered service, selected that I was bringing my own modem, gave them the MAC address so they could activate it, & plugged it in. Service worked for years. When I moved they tried to charge me $100 for their modem, which they had never sent, never charged me for the rental, & I had never seen. They’d call every day. For weeks. Every day I explained that I had never received their modem, and had my own. I eventually got them to stop by recording the phone call, apparently they’re fine if they record the call for “quality and training purposes” but not if I record the call for “small claims court evidence purposes”. Funny that. Jeez!……it’s 2018 and still this crap happens! Gotta feel for you…..and I guess if it had been me I would have made it my life’s work to take a complaint about it right to the top and email every manager and contact I could along the way. Tell me about it, its crazy they can be that crap! wow! In contrast when I called talktalk the other day I could not fault the service i got! YEP still as crap as ever i will never go back to cable, several years ago i ordered cable with “super fast” connection blah blah blah .. the engineer came fitted it tested when i noticed was not getting the speed / package i was expecting only to be told by the engineer “oh that is not available in this area yet” i told them to take it out they said i would have to contact customer service. Cut a long story short ended up getting very messy solicitors letters etc. They claimed that i was not at home when they came for the equipment i was ! booked a day of work too.